If you could climb to the top of one of the world’s tallest buildings more than a thousand feet high from the ground, would you? What if there was no guard rail, no barrier, no safety net to catch you? Well, I did. While most people opt for the observation deck inside, I got the chance to feel what it’s like to walk on the outside of the Toronto CN Tower! Fittingly named, the EdgeWalk is the coolest new adrenaline rush in my hometown! I got to base camp bright and early at 9am. Before heading in, I took one last look at the tower from the bottom. I bet this is where most people back out at the last minute. That’s understandable because this mother of a structure can be a little intimidating from this angle. Fortunately it was beginning to be a beautiful day for a climb! Yup, I’m heading all the way up there! At base camp I met Brent, Rachelle, Joanne, and Amy, who were about to prep me for my 360-degree walk around the tower’s edge. I couldn’t wait to get to the top but I wasn’t quite ready yet. First thing’s first – I needed the right gear! 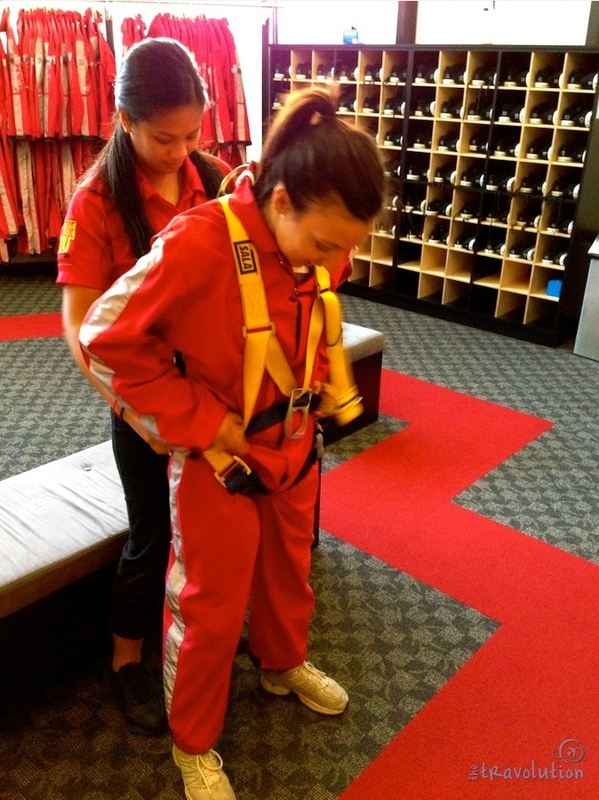 It was time to get harnessed up and fitted with a cool red jumpsuit. I felt (relatively) safe. Rachelle checked, double checked AND triple checked every last button and buckle. There was something about this suit that suddenly made us feel a little more empowered! 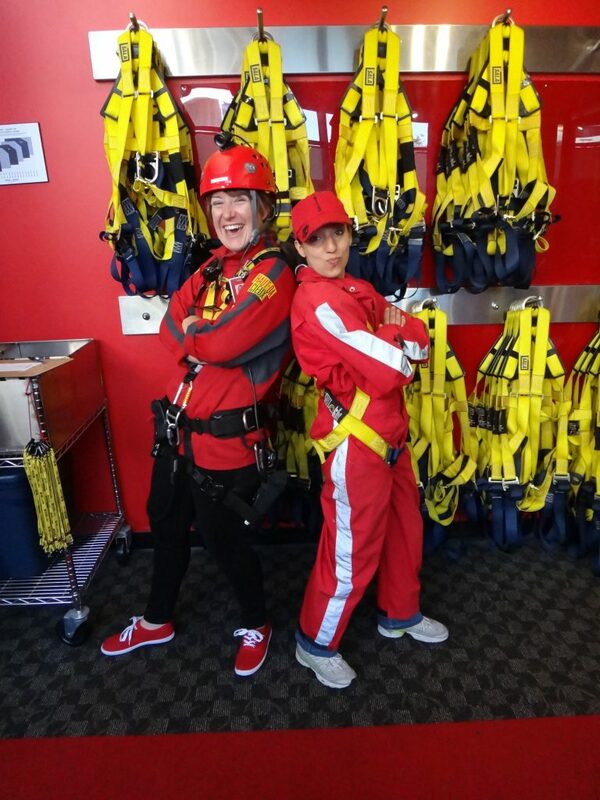 It was like Amy and I were about to go on a Charlies Angels adventure – but this power suit was definitely much sexier, don’t you think? We made our way to the top by elevator. Amy tells me this is where most people give into their jitters and make the climb back down instead of up. But I wasn’t about to back out. Once I set my mind to something I pretty much always stick to it. The EdgeWalk is 1,168 feet high or 116 storeys above ground! We walked the five-foot wide metal rim of the tower’s edge, hands-free! 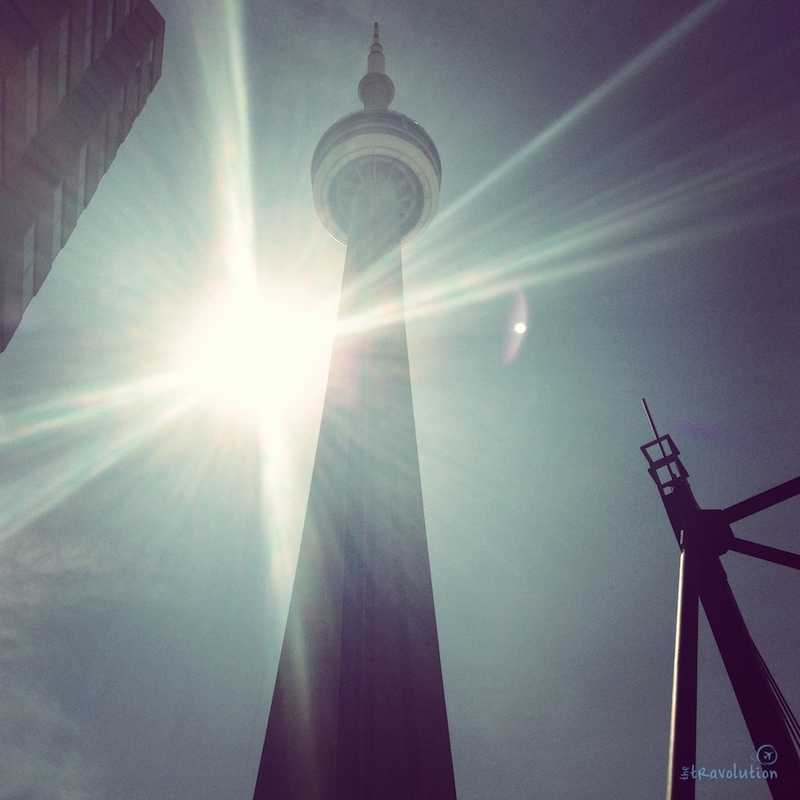 Up here the temperature can be as much as 10 degrees colder than the bottom, even during one of Toronto’s heat waves. On most days, you can get a pretty sweet panoramic view of the city, our island, and even Niagara Falls as far as 160 kilometres further West and New York State. It’s one of the Wonders of the Modern World. It’s built to survive an earthquake of 8.5 on the Richter scale. The Glass Floor can hold 14 large hippos. What you get: $175 per person. It includes a DVD of photos, video, and certificate. 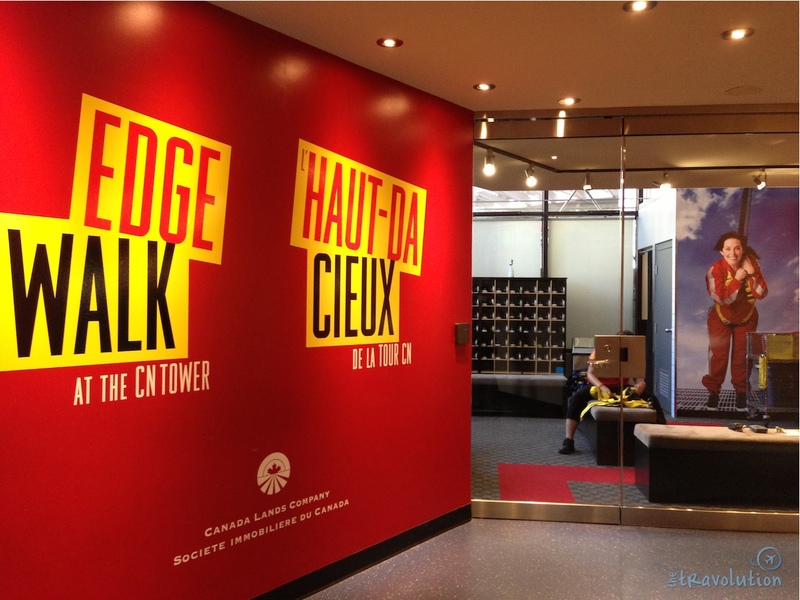 You also get “Total Tower” access to the rest of the CN Tower. 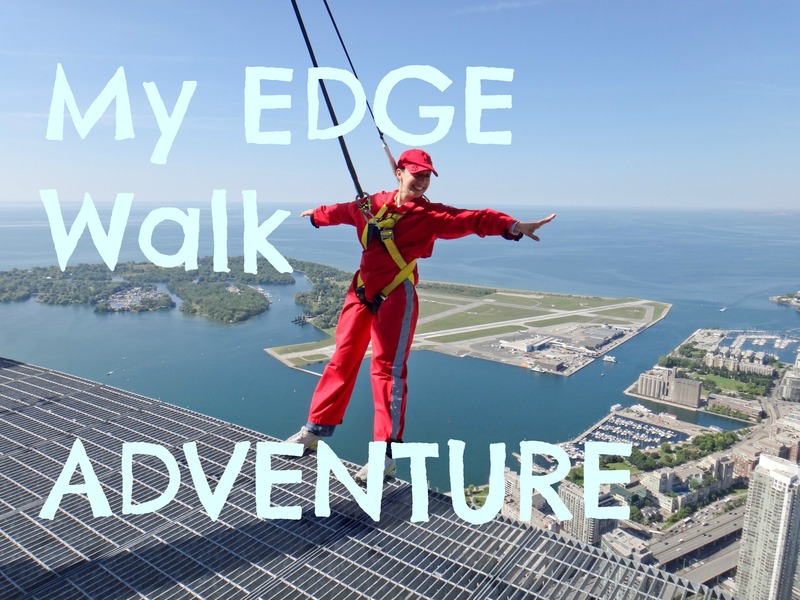 Thank you Tourism Toronto and the CN Tower for my awesome EdgeWalk experience. As always, all opinions are my own. So, would you do the EdgeWalk? 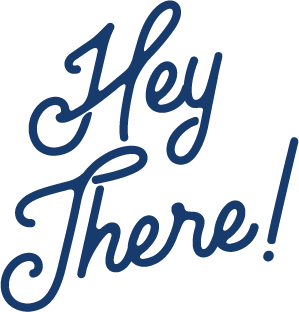 Thank you for sharing ,, love those pictures! That looks seriously epic! I love view of Toronto Island. A view like that sort of makes up for the lack of mountains in the T.dot. Nice article and amazing pictures! Keep travelling! Thanks Umang and thank you for your comment! 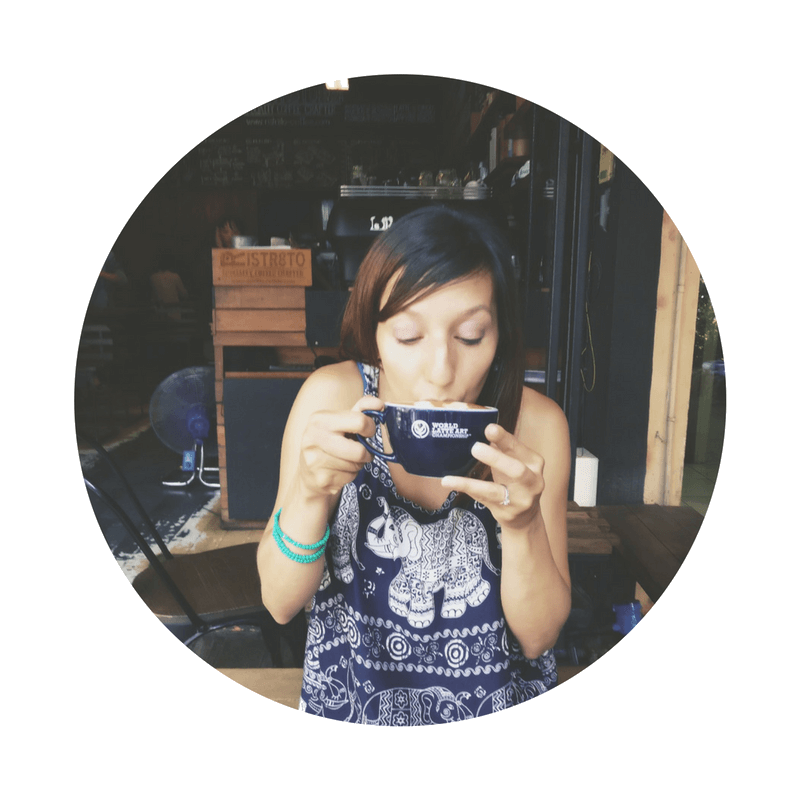 It definitely got my stomach a little queasy but taking the risk and stepping out of your comfort zone is so worth it – you feel like you can accomplish anything and makes future challenges seem so minuscule!